Shokugeki no Souma season 4 episode 6 digs right back into the Hayama vs Yukihira fight. The fight finished off with a cliffhanger in the last episode, and we have only seen them try Soumas bear meat dish. Souma served them his meat and they liked it, but will Hayama’s meat taste better? Shokugeki no Souma season 4 episode 6 kicks off with the judges tasting Hayama’s bear meat dish. They were quite delighted with it, and if you were to judge meat alone. Then Hayama’s meat was definitely much better than Yukihira’s. But they have still not added the sauce, so they have to try it while it has sauce on it. Because sauce can greatly change the flavor of the meat. Shokugeki no Souma season 4 episode 6 did not emphasize too much on story, except for the Hayama part where there was a lot of revelation as to why he was doing it. At first, it seemed like Hayama was winning, but then Yukihira actually triumphed after a lot of thinking and evaluation from the judges. 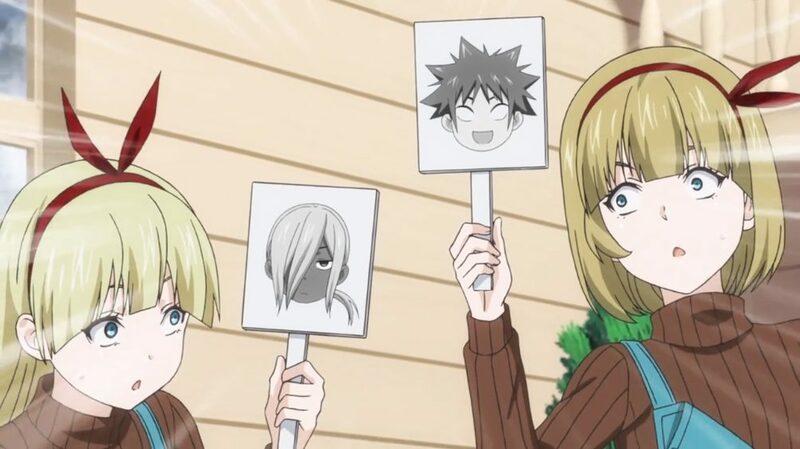 What made Yukihira win over Hayama? Well, that is something that was pretty easy to predict. We see a flashback back to the Autumn Leaf Tournament when Hayama beat Yukihira. And old man Nakiri said that Hayama put more effort into the dish. He presented himself within the dish, and that is what made him win over Souma at that time. But now, Souma has won with putting in much more effort. Souma took a lot of effort and hard work to finish this dish. He had to travel all kinds of mountains, and search for berries and ingredients. Then test all of them which is not that easy. The reason as to why Hayama did not win is simple. Hayama had lost his interest in cooking when Jun left. He has no real motivation to put effort into his dishes. And, he is already one of the strongest chefs in their school. He simply, lacked the motivation to compete because he knew he could make a great dish anyway. But making a great dish was simply not enough, because he had to showcase his own self in the dish. You could call this plot armor, but then again you could not. Because Souma legitimately put effort into his cooking, and I think this is one of the dishes he will be proud of. Afterall, cooking a bear dish is hard, but then also enhancing its flavor was even harder. Souma took a dangerous road towards success and any small misstep could have caused him the match and his expulsion. It was an intense battle between two young chefs, that unfortunately finished with what people would call a plot armor.